MOPAR has it all and more! 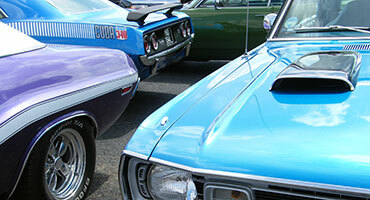 Discover a car club for enthusiasts of American Muscle and Mopars! Join and Renew Online Today! Everyone has heard of a Dodge Challenger, made famous in “Vanishing Point”, or more recently in “The Fast and Furious” film series. People instantly recognise the Dodge Charger as an Iconic car featured in “that” chase in “Bullitt”, and again driven by those good ol’ boys in the “Dukes of Hazzard”; and later by Vin Diesel. People may have heard of a Plymouth “Roadrunner”, or maybe a Plymouth “Barracuda” or ” ‘Cuda”. They have certainly heard of the legendary Plymouth “Superbird” driven by Richard Petty and stylised in Disney’s “Cars” movie as the “King”. Which Petrol Head has never heard of the infamous “Hemi” engine? What do these fantastic cars have in common? Apart from great style, flair and massive performance, they all share the same parentage – they were all built by the Chrysler Corporation. This also included “Chrysler” in its own right as a model line, the great “Letter Series” luxury cars, and also “De Soto”, and “Imperial” cars. Chrysler owned the American Motor Corporation (AMC). It also extends to the “Jeep” brand. Their engines and transmissions have underpinned great brands such as “Bristol”, Jensen”, and “Facel Vega”. Australian variants are highly sought after. They even owned “Rootes” in the United Kingdom. The one thing that ties all these fantastic brands and cars together is that they are all “MOPARs”!!! 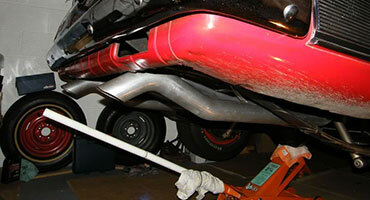 “Mopar” is simply a branding for Chrysler’s Spares and performance tuning components – created from “MOtor PARts”. It’s as simple as that. 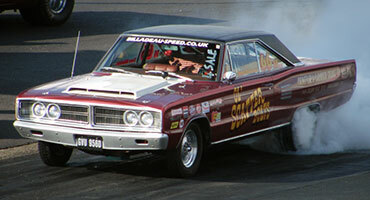 Even a Hillman “Avenger” is a Mopar! However, what was created was timeless and magical. There is a fanatical following of all things Mopar – especially in the United States, Scandinavia; and in the United Kingdom. This club is dedicated to the preservation, restoration, and enjoyment of these wonderful cars (and trucks and vans). Please join the Mopar Muscle Association and become a part of this great family that is bringing Chrysler’s heritage to the masses! You don’t have to own one to be a member. Vibrant printed club magazine ‘Connected’, three times a year posted to your door! LOOKING TO BUY A MOPAR? NEED HELP MAINTAINING OR RESTORING?